We only use High Quality Precision GLASS Optics and Leached Borosilica Fibers. Our Fiberscopes, Borescopes and Videoscopes are used by professional technicians and engineers in major gov't and corporate customers worldwide for visual inspection of everything from buildings to critical hardware, machinery, turbines and engines. 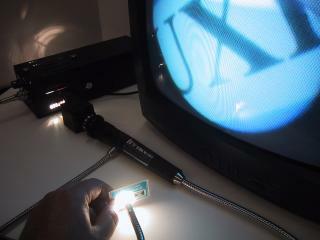 Here are links to the many fiberscopes we offer. Click a photo below or a tab above to view our catalog. 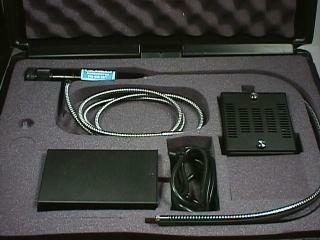 Complete Flexible Borescope Kits starting at only $1,495. Take Digital Color Photos/Video Permanently Save and Email your inspection results!